Genesis Advanced BioScience’s Co-E1 Spark™ is a proprietary formula of antioxidant, coenzyme 1, or NADH, which naturally occurs in the body & is essential in generating energy at the cellular level. Higher coenzyme 1 levels translate into higher energy levels. Co-E1 Spark™ patented formula, clinically proven since 1993, is highly stabilized for maximum absorption. Does Not Contain: Caffeine, Hormones, Sugar, Yeast, Dairy, Starch, Preservatives, Artificial Colors or Flavorings. Suggested Use: Take one tablet each morning on an empty stomach (or 30 minutes before a meal) with only water. Store at room temperature or refrigerate. Protect from light, heat & humidity. Genesis Advanced BioScience’s Co-E1 Spark™ optimizes brain function, increases energy, wellness & rejuvenation. Co-E1 Spark™ a proprietary formula of coenzyme 1 (antioxidant, NADH) naturally replenishes the primary coenzyme to provide immediate energy. Generates Immediate Energy at Cellular Level: The essential coenzyme is “bio-available” providing immediate energy as pure compound, precursor of Vitamin B3. Optimizes Over 1,000 Metabolic Functions: Brain Function, Energy, Wellness & Rejuvenation. 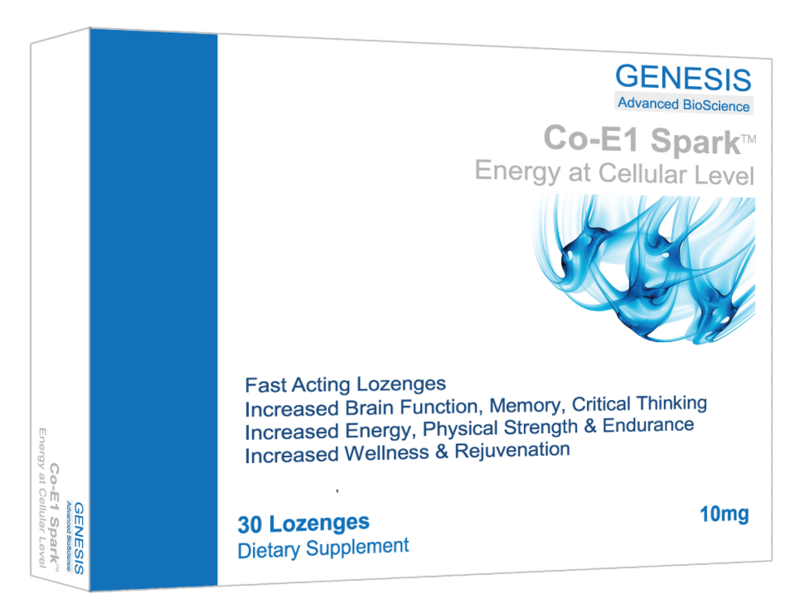 Co-E1 Spark™ optimizes over 1,000 metabolic functions supplying energy to nerves, organs, muscles & brain. Invigorates Metabolic System & Replenishes Primary Coenzyme Found in Every Living Cell. Co-E1 Spark™ replenishes primary coenzyme levels depleted by environmental and biological stress. Higher coenzyme 1 levels translate into higher energy levels. When environmental and biological stressors deplete this primary coenzyme, the body’s cellular and physical energy is depleted. Co-E1 Spark is a proprietary formula of coenzyme 1 (antioxidant, NADH) guaranteed for purity, freshness, potency & maximum effectiveness. 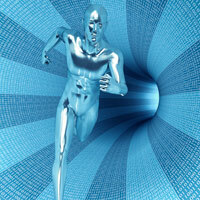 It is essential in generating energy at the cellular level. Co-E1 Spark™ patented formula, clinically proven since 1993 is highly stabilized for maximum absorption. Coenzyme 1 is a vital organic cofactor essential in the complex ATP Cellular Energy Cycle. The antioxidant is immediately available cellular energy as a pure compound, precursor of Vitamin B3. It optimizes cellular metabolism supplying energy to brain, nerves, muscles & organs. 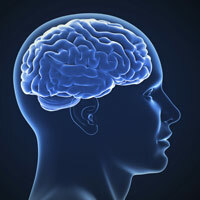 It optimizes brain function, energy, wellness & rejuvenation by increasing cellular metabolism supplying energy to brain, nerves, muscles & organs. If you have any questions about Co-E1 Spark or how it can improve your life, please don’t hesitate to contact us. You can call, send an email, or use the form at right. Whatever means is most convenient for you.